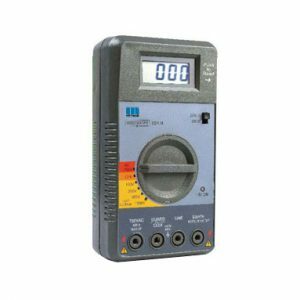 Built in AC/DC voltage meter, useful for testing solar power generation systems and electric vehicles . AC/ DC Voltage measurement . AC Voltage measurement facility upto 750VAC. Long life Re-chargiable battery opearated with charger. Large Digital Display with Bar Graph Indciation and Backlite. 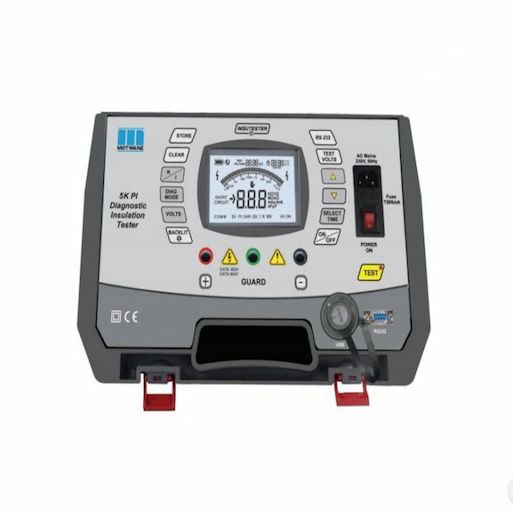 Auto-discharge function and voltage output warning function. 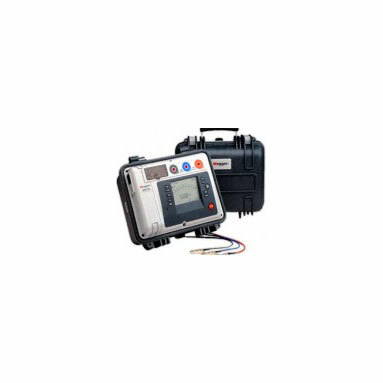 3 Functions In One Unit, Insulation Test With 4 Voltage Ranges, Continuity Test, AC Voltage Measurement. Comparator Function With PASS / FAIL And Buzzer. 0Ω Adjustment At Continuity Measuring Range. Memory Function Up To 99 Data. 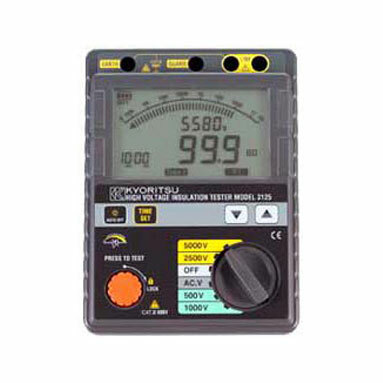 Backlight LCD Provides Easy Reading In Dark Locations. Safety Lock System Prevents An Erroneous Operation. Safety Standard IEC 61010-01 CAT III 600V. Bargraph to display insulation resistance. 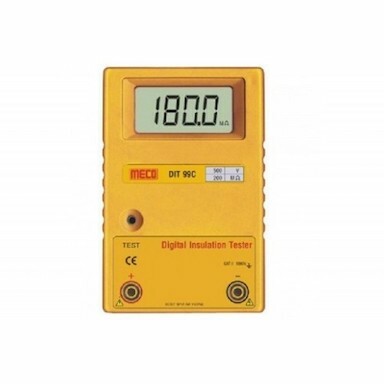 Displays the value of external AC voltage along with flashing symbol. Auto null function to automatically subtract the test lead resistance before displaying the real continuity resistance value. Trac-Lok mode to conserve battery life on insulation and continuity tests. Releasing the test button automatically discharges the charges stored in the circuit under test. 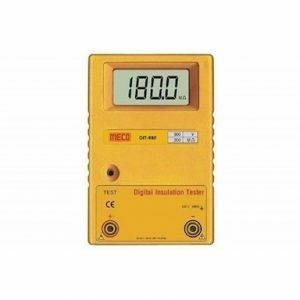 Backlight function to view the test results in dimly lit areas. 200mA continuity measuring current to IEC 61557. Minimum 1mA current on insulation tests to IEC 61557. 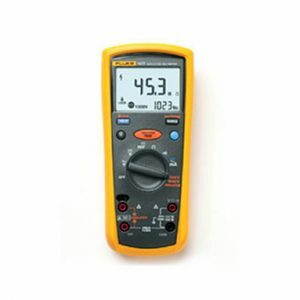 Insulation Test Voltage 500V & 1000V for FLUKE 1503. 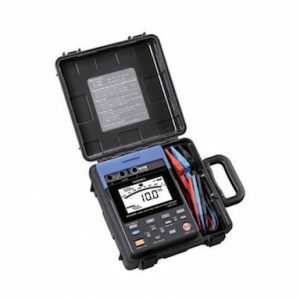 Insulation Test Voltage: 50V,100V,250V,500V & 1000V for FLUKE 1507. 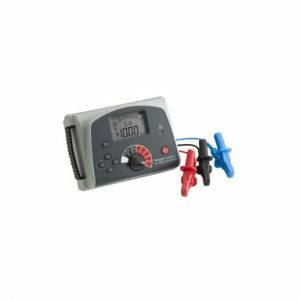 AC/DC Voltage: 0.1V to 600V. Resistance: 0.01 to 20.00 KOhms. 1Tera Ohms, 1.4mA, 5kV Digital Insulation Tester with Digital and Analogue Display. five Test Ranges: 250V,500V,1000V,2500V and 5000 Volts. Insulation (InS), Polarisation Index (PI) and Variable timed test (T) modes. 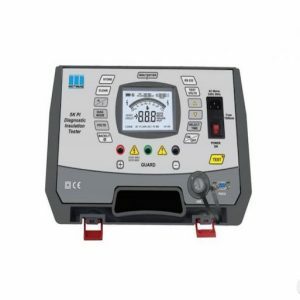 Selectable DC or aAC (incl.Frequency) voltmeter functions. Guard terminal to shunt surface leakage currents. ONE YEAR WARRANTY AGAINST MANUFACTURING DEFECT. 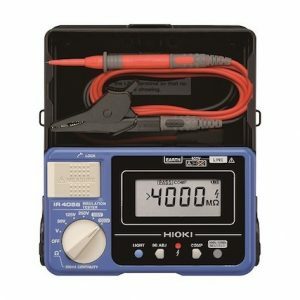 Variable test voltage from 50 to 5000 or 10,000 Volt. Automatic IR,PI,DAR SV and DD Tests. RS 232 and USB Download PDF of results to Megger Download PDF Manager.